The CP+ Photo and Imaging Show is going on in Yokohama, Japan right now. Below is an excerpt from an interview with a high ranking Canon official. 'There will be a Canon EOS 70D coming, but the future of semi-pro DSLR cameras is probably full-frame,' says Masaya Maeda, Managing Director and Chief Executive, Image Communication Products Operations at Canon. However, while he says new concepts are needed to save the compact camera, he doesn't see larger sensors as being the answer for the mass market. 'Some say the digicam market is mature and that smartphones are eating into it. I would say this is true. 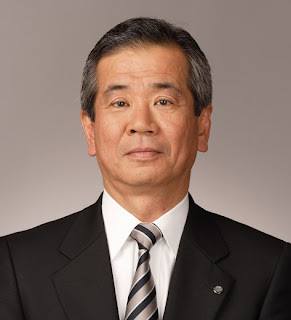 In terms of the compact camera segment, new concepts are needed,' Maeda says: 'The PowerShot N is part of our response. Of course we have other things in the works but I can't talk about it yet'. However, he ruled out the idea of a larger sensor camera along the lines of the Sony RX100 to offer more of an image quality distinction between smartphones and compact cameras. 'I think the market does exist but it wouldn't be very large. We think we have a good balancing point in terms of price, image quality and size. Lots of other combinations are possible, but, once you go below APS-C the next logical size is 1/2.3 inch', he says. I like to point out that Canon Inc. is notoriously tight-lipped about their future plans and even in interviews, they rarely give any real useful information as to their upcoming product plans or introductions.